I applied white color on my ring finger and blue on rest of the nails..Then i applied holographic glitter on the tips..After that i placed a big rhinestone right at the center of my ring finger nails(towards the tip). And then i placed blue caviar beads around the rhinestone.Then i placed smaller rhinestones above,below and on the side of the existing one. 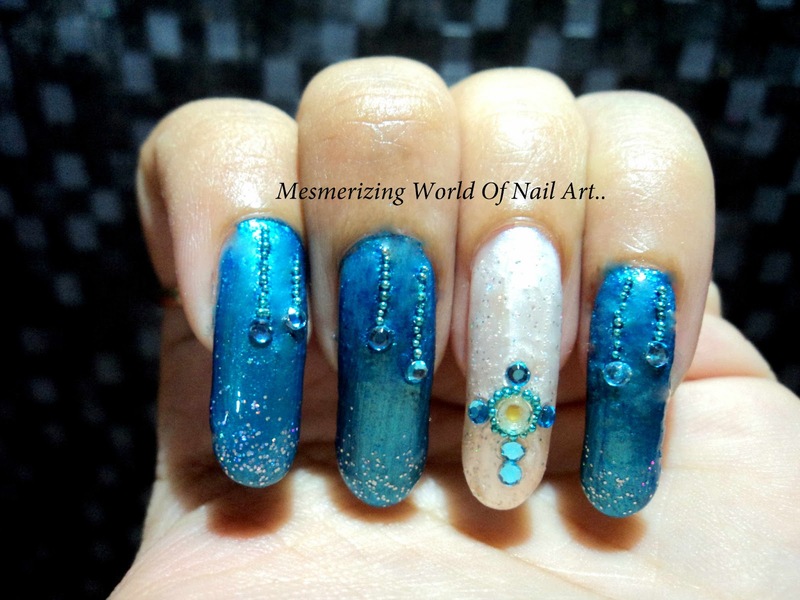 On my rest of the nails i placed caviar beads and a smaller rhinestone in a line. This completed the whole look.I think its simple and Elegant.﻿It will also be a great wedding design!